Many times people are confused as to the differences between credit counseling and bankruptcy. Credit counseling is heavily promoted by the credit industry for the obvious reason - they get paid. The creditors don't care that you are not buying groceries in order to pay the minimum payments and many times the credit counseling payments are just as high or slightly lower than what you were already paying. But, we've been conditioned over the years to do whatever it takes to save the FICO score and so we must take a look at credit counseling and see what it's all about. To use an analogy, the difference between credit counseling and bankruptcy can be compared to going from Florida to Oregon (for those of you with less debt, you would be going from Florida to Virginia!). You can travel by airplane or you can pack up the car and drive. If you decide to fly, you buy your ticket and usually get to your final destination in a short time - rested and ready to go. The most discomfort you'll experience is a little hunger (not even peanuts anymore on those flights). If you drive, you will still get to Oregon but it will take longer and you will pay a lot more money to get there. You have gas, tolls, lodging, food, and hopefully no unexpected side-trips. You will eventually reach Oregon but it took more time, cost a lot more and went through a bit more stress. Below is a comparison between credit counseling and a Fort Lauderdale Chapter 7 solution. The credit counseling "points" are taken from the website of one of the major credit consolidation companies in the United States. Let's look at this important selling point for credit counseling agencies. The credit industry has led us to believe that a credit counseling plan will be better than a bankruptcy and help restore their credit faster. A bankruptcy filing will be reported on your credit report for ten years. But that doesn't mean that you will not get credit in those ten years or that your credit score won't be continuously improving every year. On the contrary, since you will not have any debt, your income to debt ratio (one of the scoring factors for FICO) will be very healthy. Not so with a credit counseling plan. What the credit counseling agency also doesn't mention is that while you are in a payment plan with them from 36 to 60 months, your credit score is taking a hit the entire time and not recovering in any way. So there alone, you have 3 to 5 of the ten years that a bankruptcy will be reported on your credit report. The short answer is NO. I've had many people sit in my office who went into these payment plans only to find out after paying the counseling agencies thousands of dollars (the monthly payments are not cheap in most cases) that all their credit card companies did not agree to the plan. So out of ten credit cards, only eight are going along with the plan and the other two still want full payment and sometimes even go ahead and sue while you're in a payment plan. Many people have stated that once they sat down to figure out the numbers presented by the counseling agency, they realize that there's no way that the numbers add up to pay the agreed debt in the time line originally told to them. At the Bankruptcy Law Firm of Clare Casas. 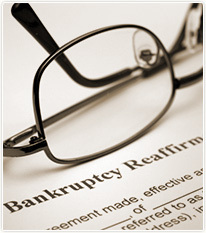 The Fort Lauderdale bankruptcy attorneys are our office helps good people get through these tough times. Call today for a free consultation and learn what options are available to you! The office is located in Davie, just North of Pembroke Pines, Miramar and Hollywood, Florida. It is also conveniently located close to Weston, Plantation, Sunrise, Cooper City, Hallandale and Fort Lauderdale. The entire staff and attorney speak Spanish. Bankruptcy attorney Casas is happy to provide evening and weekend appointments so you don't have to miss work.